Henrik Fisker -- aiming to counter what an SUV can be -- released an early look at a planned all-electric luxury vehicle Monday. He calls it a futuristic, elegant muscular EV with clean surfaces, dramatic shape and design touches that have been traditionally found on supercars. Noted designer Henrik Fisker, who tried to start his own automobile company more than a decade ago, is taking another shot — this time, he says, with an electric SUV with a price starting under $40,000. Fisker Inc. aims to have the vehicle fully designed, engineered, tested, validated, certified and on sale in just over two years from now — even though it has not finalized a deal for a venue in which to build the vehicle. The company says the vehicle — which has yet to be named — will be available with either one electric motor for two-wheel-drive models or two electric motors for four-wheel-drive versions. The goal is for a 300-mile range between charges from an 80-kilowatt lithium ion battery pack. Instead of dealerships, Fisker intends to sell the vehicle direct to consumers. 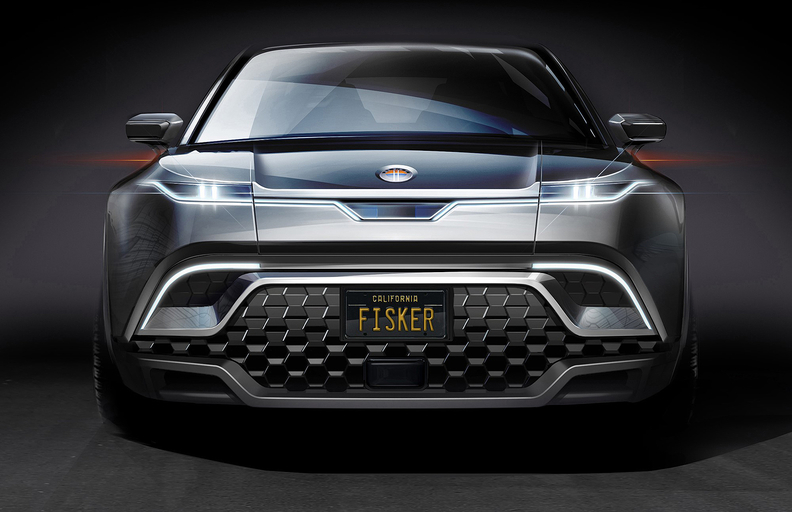 Fisker, based in California, plans to build the new SUV in the United States. It is one of three vehicles Fisker plans to launch. In 2008, Fisker Automotive — Henrik FIsker's previous company — introduced the Fisker Karma gasoline-electric luxury car at the Detroit auto show. Three years later it went on sale, but production ended in late 2012 when the company ran out of money.